As you’ve pointed out Chris, all Miyazaki’s films feature strong female characters (from Lupin to Ponyo), which can be attributed to his mother, a free-thinker who was probably quite outspoken for a Japanese of the time. Other recurrent themes in his work: environmentalism, Japanese culture (historical vs modern), good & evil, anti-war, flying (his father worked for an aersopace company) and childhood. His Wikipedia page is a good starting block and there are a few biographies available I believe. Most filmmakers can be seen in their work, but few as much as Miyazaki. Interesting pair of films here – I’ve always seen Mononoke as a very European take on Japanese mythology. Not sure if that makes much sense, and I think it’s the Gaiman connection that gives me that idea, but it feels more western in it’s scope than any of the other Ghibli films. 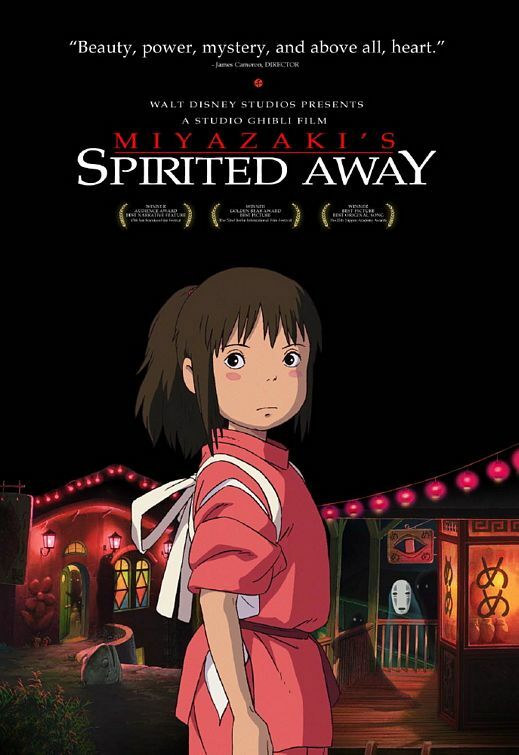 What’s that got to do with Spirited Away then? Well, this is the opposite – it’s a very Japanese take on some quite strong european (specifically Eastern European) mythology. I’ve often wondered if that strong Baba Yaga (sp?) image is Neil’s influence running the other way. Well, not often. I don’t lay awake thinking about it or anything. Anyway, back to the point. So we have a Japanese take on European myth, which to me is really interesting – because the bits and pieces of that that we take for granted (the Classic fairy tale as you say) get sort of twisted in the translation. And I really like that. Previous Previous post: January 31st: Y’know, For Kids. Next Next post: February 3rd: His name was Joseph, actually.